The New York Giants predicament at quarterback can result in three different scenarios – drafting Dwayne Haskins, Kyler Murray, or trading for Josh Rosen. 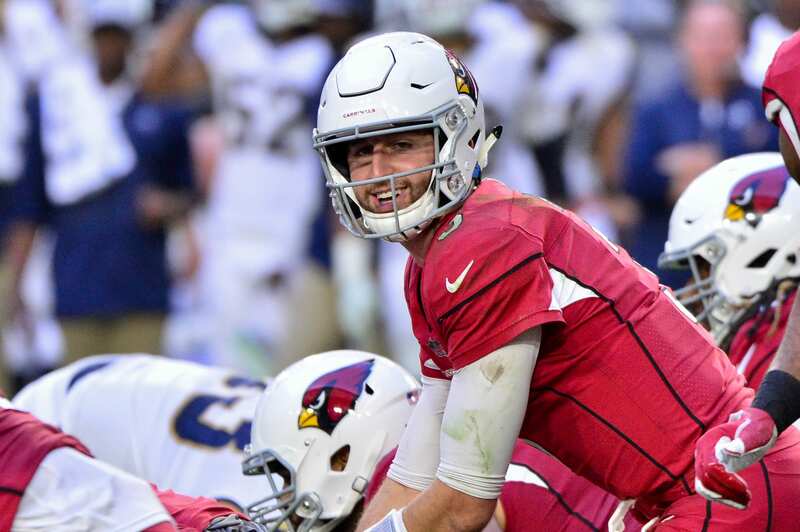 The Arizona Cardinals have set up an exclusive meeting with the Oklahoma star, and that’s after stating they were sticking with Rosen. Team’s don’t usually invest time and effort into a top 5 draft pick (QB) a year after selecting their potential franchise quarterback. This fact alone should indicate that Rosen is 100% on the market, but the question is – what are they willing trade him for? Some believe that a second-rounder would do the trick, others have indicated that Arizona needs a first-rounder in return. The Giants have the No. 17 pick in the draft which could be enticing as a trading piece, but general manager Dave Gettleman would be smart to stick to a second-rounder as his final offer. Alternatively, Big Blue can stick to the draft and select either Dwayne Haskins or Murray if available. Monetarily, it makes more sense to retain the draft picks and utilize them appropriately. Otherwise, the Giants would be bringing on a player that would be going into their third-season before even touching the field as a starter. With Eli Manning nearly guaranteed to remain the starter for 2019, Rosen or any drafted QB would sit behind the veteran for a season. Wasting a year off of Rosen’s rookie deal doesn’t make sense for a team looking to rebuild through cap-space and youth. The argument against that would be: There’s no price tag for the perfect quarterback. If the Giants thought Josh Rosen was the ‘perfect’ fit, why haven’t they done everything possible to acquire him? What other teams could be in the race for Rosen? It’s possible that the New England Patriots could be looking towards the pocket passer as a potential replacement for Tom Brady. His skill-set fits perfectly in their short/intermediate passing style, which is Rosen’s strength. His deadly accuracy would be ideal in that specific system. The Giants offer something a bit similar, but with a far better offensive line. Trading for Kevin Zeitler and the expectation that a right tackle will be drafted presents an opportunity for Rosen to go from the worst offensive line in the league to one of the best (on paper). It all comes down to the direction Shurmur wants to take the offense, and if he’s keen on bringing in another pure pocket passer. The Giants supposedly were high on Rosen in the 2018 NFL draft but stuck with their gut at No. 2 and didn’t hesitate with Saquon Barkley. Concussion concerns at UCLA rattled the brains of the Giants brass (pun intended). Entitlement and lack of a mental challenge were two factors that belittled the once top draft prospect, but he proved to be mentally and physically strong after being pummeled last season in Arizona. Moving forward, his skill-set can be applied directly to the Giants’ plans, but they cannot overspend on a player that won’t theoretically plan until 2020.